Vancouver based artist, Rodney Graham is exploring what it means to be past your prime and dealing with the varying levels of obsolesce that comes with aging in his latest large format self-portrait photographs. 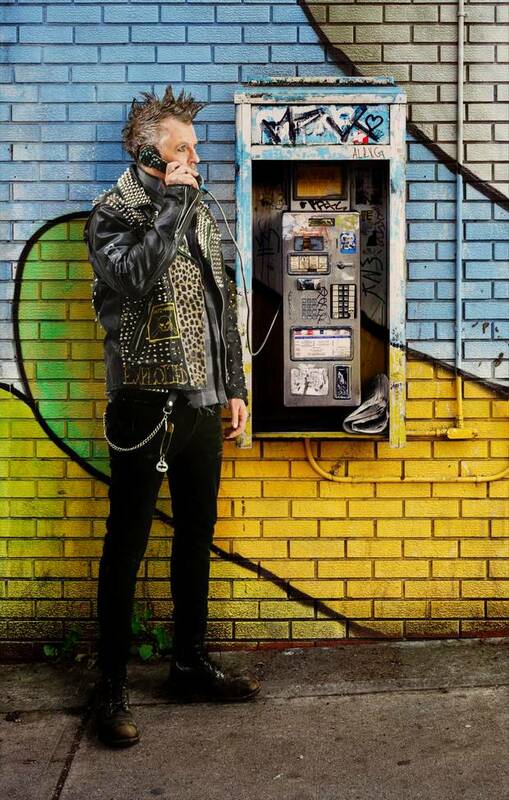 In a recent Globe and Mail interview he speaks to his work Old Punk on Pay Phone “This is the last old crust punk in the world talking on the last pay phone in the world,” Graham says. “I mean, who even uses pay phones any more? Aren’t they just for drug deals?” It’s a character he inhabits with ease, the youthful rebel in old(er) age. “I mean, my leading-man days are kind of behind me,” he laughs. “I’m looking for roles now that I can actually play.” Showing at Vancouver Art Gallery until September 30th with other shows in Berlin and Chicago.